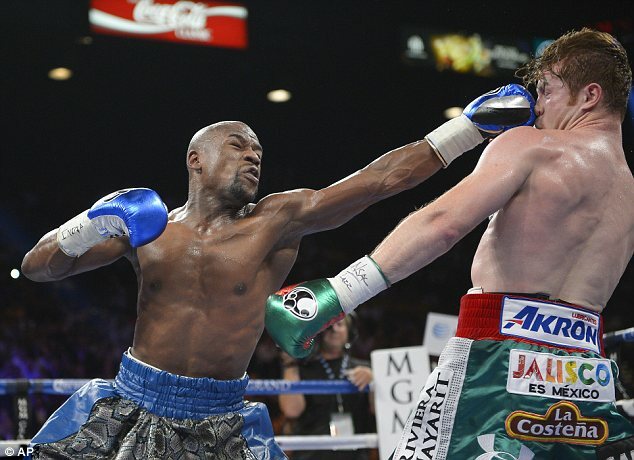 Floyd Mayweather Jnr has been named the world’s highest-paid athlete in 2103 by Forbes magazine. The pound-for-pound No 1, who has won all 46 of his fights as a professional, made $105million (£62.5m) for his last two fights, against Saul ‘Canelo’ Alvarez and Marcos Maidana. 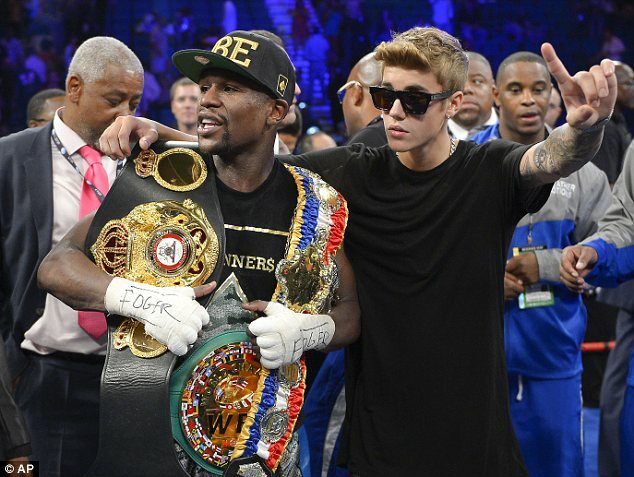 Mayweather also topped the list in 2013 with $85m (£51m), ousting Tiger Woods who been No 1 for the previous decade. ‘I’m humbled and extremely fortunate to be recognized by Forbes as the highest-paid athlete once again,’ said Mayweather. ‘I’m doing something that no other athlete is doing, promoting myself and seeing my hard work pay off in the form of record-breaking numbers. It’s all about hard work and dedication which is so important and a key part of my financial success. Mayweather will return to the ring on September 13, possibly in a rematch with Maidana who ran him close in Las Vegas last month. The five-weight world champion has banked at least $25m (£15m) for his last nine fights since he beat Oscar De La Hoya in the most-watched boxing fight in history in 2007. He has earned almost $400m (£238m) since turning professional in 1996 and is the second athlete to earn more than $100m (£59m) in a year, after Woods. 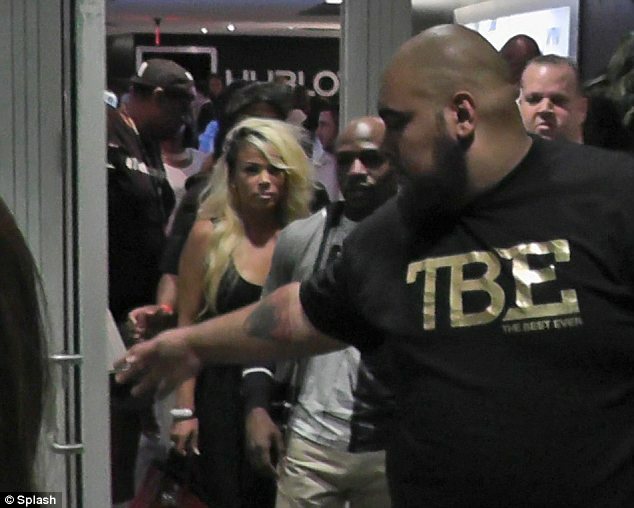 Mayweather did so by spending just 72 minutes in the ring over two fights. Meanwhile, Real Madrid star Ronaldo leads a group of 15 footballers in the top 100. His endorsements with the likes of Nike and Samsung total $28m (£17m). 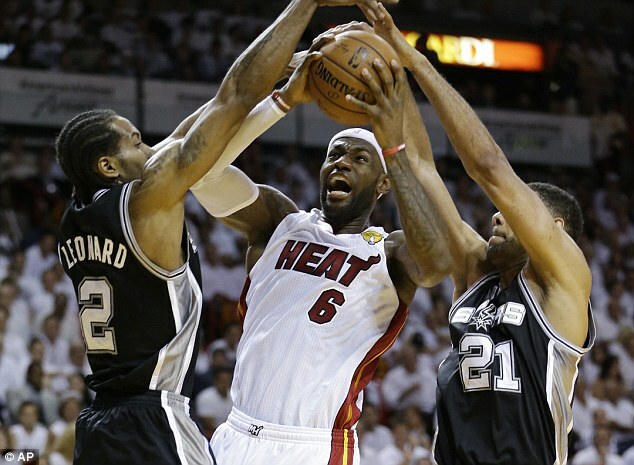 Miami Heat’s James is the NBA’s biggest endorsement star thanks to deals with Nike, McDonalds and Coca Cola. Barcelona’s Lionel Messi and NBA legend Kobe Bryant complete the top 5 while three women, all tennis players, make the top 100. Maria Sharapova ranks at No 34, Li Na at No 41 and Serena Williams at No 55. Is James Kirkland a Top Middleweight Contender? Posted on 11th June 2014 by newsafrica. This entry was posted in Africa, African Diaspora, African-Americans, Boxing, Showbiz, USA and tagged Cristiano Ronaldo, Floyd Mayweather, Lebron James, Lionel Messi, Marcos René Maidana, Mayweather, Oscar De La Hoya, Tiger Woods. Bookmark the permalink.